Integrity from Marvin Windows and Doors is expanding its industry-leading product line with new insert windows that combine tough fiberglass exteriors with warm wood interiors. Now there’s an option for those who want Integrity’s pioneering casement and awning windows in an insert application. 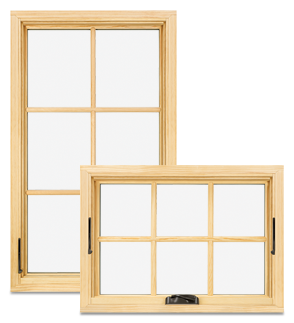 Integrity’s Wood-Ultrex Insert Casement and Awning windows add more great options for homeowners, builders, remodelers and architects who seek durable performance combined with lasting beauty. Every Integrity window is made with Ultrex®, Integrity’s patented pultruded fiberglass that’s as strong as steel. 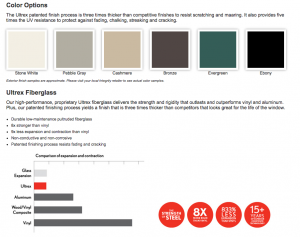 Combining the industry’s best high-performance finish with superior energy efficiency, Integrity windows outperform vinyl and composite products. Now, that high performance joins the Wood-Ultrex Insert Double Hung for virtually any remodeling or renovation project. And like all Integrity products, the new Wood-Ultrex Casement and Awning windows come with a 10-day delivery guarantee. For more information, visit Integrity’s Wood-Ultrex Insert Casement and Awning page.